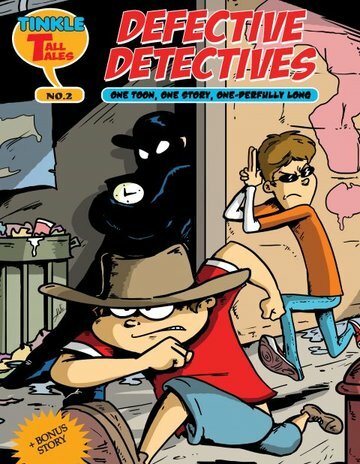 Defective Detectives: Tinkle Tall Tales | GetLitt! "Defective Detectives? Who are they? 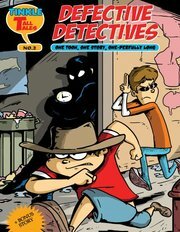 Rahul and Ravi are Tinkle’s infamous Defective Detectives, who have vowed to solve every mystery on this planet. And if and when there is no mystery, rest assured they will invent one! You see, with their overactive imagination which sees a mystery behind every bush and their unwavering determination to see everyone as a criminal, the duo are always hot on the heels of trouble or more often than not, trouble is hot on their heels! Enter this world of mayhem! !